There are several reasons why one would want to search for easy ways to make a family tree. What with the ease of travel, nuclear family system and couples migrating to different parts of the country, not to mention different parts of the world, a family tree or a genealogy tree becomes a logical solution to the question of maintaining family ties and relationships. Not only that, a detailed family tree will also give an insight into the nature and physical attributes of young children and an understanding of how to deal with different situations starting from misbehavior to health issues. 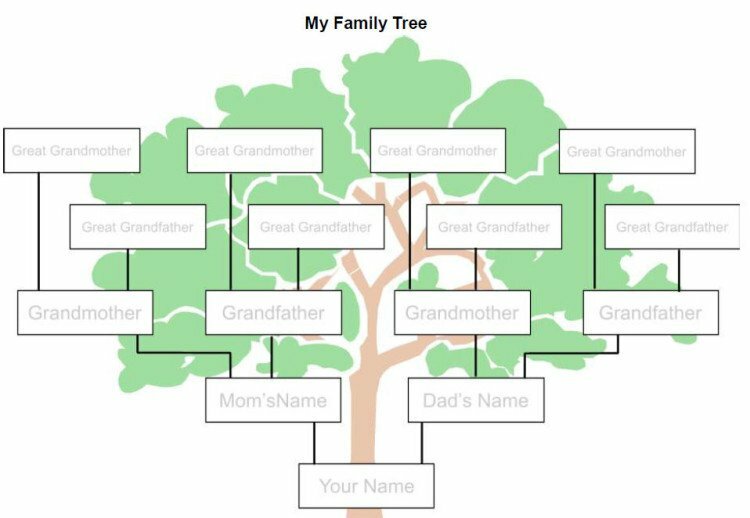 Several simple templates are available when you look for easy ways to make a family tree online. You can easily download these and start off with making your family tree. If you have tons of information and want to fit it in a great template, you can also procure designer templates to fit in a lot of information and several branches of the family at a small price. This is one of the easy ways to draw a family tree. All you need is a paper, ruler and a sharp pencil. Start with yourself and draw two branches one each for the maternal and paternal line. Record the names of parents and go on until such level where you have sufficient information. This chart, however, only records direct parents but not the siblings and hence, not even the cousins. Although simple, this is one of the correct ways to draw a family tree not to mention one of the easy ways to make a family tree. If you have a parent or an uncle or an aunt willing to let you interview him or her, go ahead and talk to them. Before you reach out to them, do a bit of research of your own maybe collecting old photo albums or preserved letters and family trees already prepared by your predecessors. It is one of the easy ways to make a family tree. It is also a good way to bond with your living relatives. Involve your kids in the project as well. You can buy pre-printed charts and sheets from a printing service or commission an experienced artist to draw up a fancy family tree. However, ensure that the printing service you use or the artist you commission are reputed and are educated about the correct ways to make a family tree. A focus ancestor is the person you wish to learn more about. This logically is the person about whom most information is available. It will help you with your research and excessive branching will be controlled. Otherwise, you would have made an immense tree with no specific focus and the idea behind making a family tree might just get lost in all the noise. If you are looking for correct ways to make a family tree, accurate information is crucial. Several forums online are dedicated to this and all you need to do is search for easy ways to make a family tree. You can not only get information on correct ways to make a family tree but also meet like minded members of your extended family. This way, you get more information and share the information you have. Databases are also available with plenty of information about families and ancestors. Some of them are free and some require that you pay a fee. Visit the free forums and databases first and once all the information you can gain is exhausted, take a look at your tree. If you are satisfied, well and good! If you are not, there are always other ways to get more information from the paid media. Research is of topmost priority if you want to make a correct family tree to depict important ancestors. If you are making a family tree for medical reasons, it is all the more important you learn the correct ways to draw a family tree and apply the aforementioned tips and ideas with accurate information and methods.